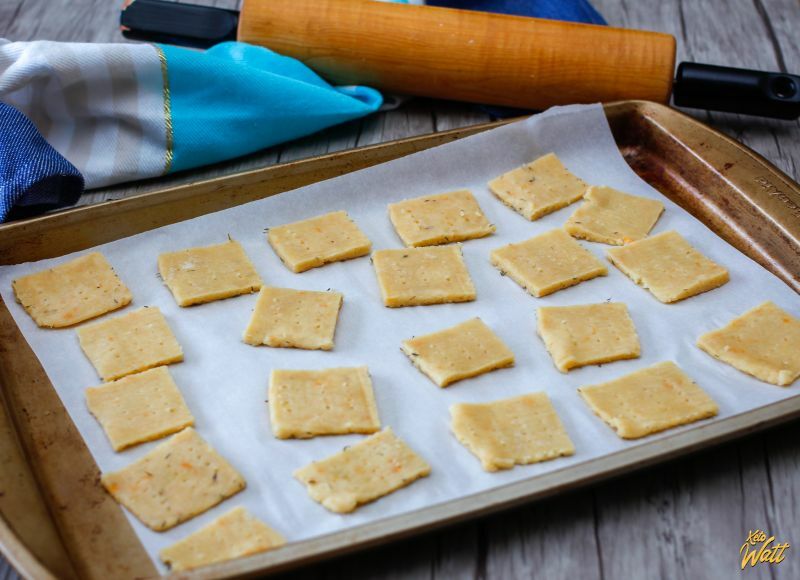 For the making of these homemade low carb fathead crackers, you can add spices, sesame seeds and give them fun shapes. This is a simple recipe that will be perfect for a light meal on the go, a snack or eating outdoors. 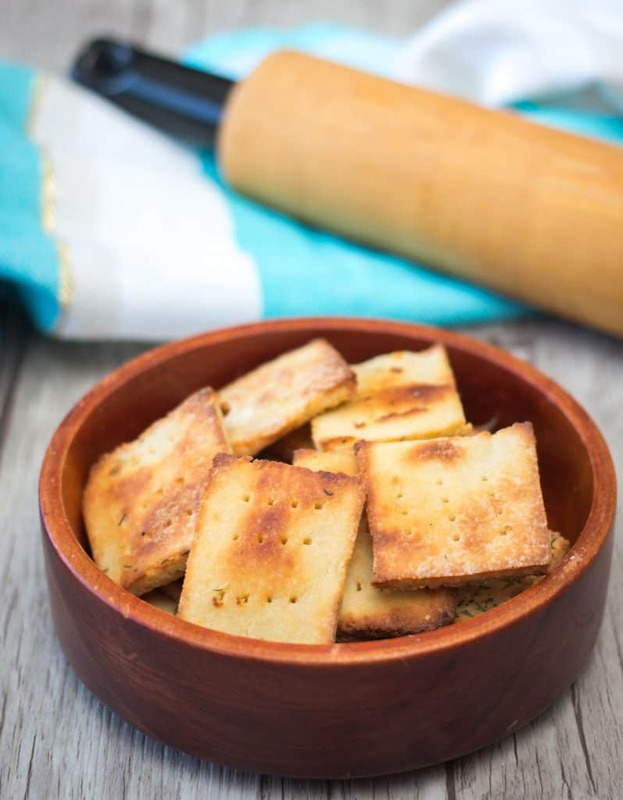 These crackers, in addition to being simple to prepare, can be kept in the fridge for a few weeks and are much more nutritious than those at the grocery store. They are high in fiber, slightly salty and just crunchy. Since these are homemade, you can salt as you want, and even replace the salt with spices like pepper, curry or cumin. With the gluten and high amount of carbs contained in wheat flour and the allergic reactions that it could cause in some people, making crackers, cakes, pies can quickly become complicated. However, there are a few alternatives to wheat flour. Like the one used in this recipe - almond flour. 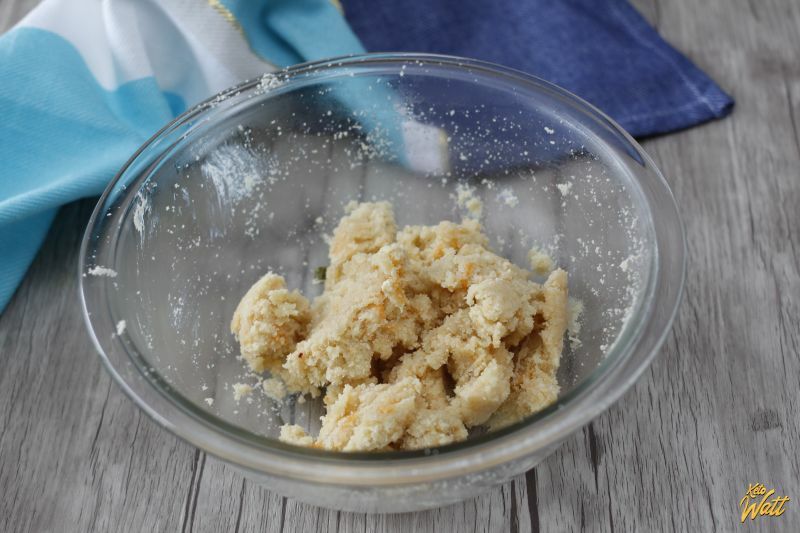 Almond flour is a popular alternative to wheat flour. It is low in carbohydrates, full of nutrients and has a slightly milder taste. Almond flour can also provide more health benefits than wheat flour, such as "bad" cholesterol reduction and insulin resistance. Mix the almond flour with the cream cheese. Microwave for 1 minutes on high. 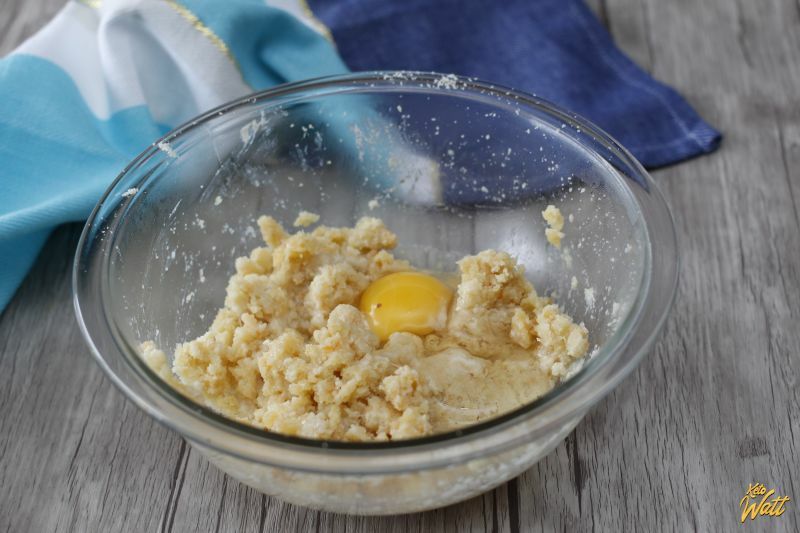 Add the egg and mix well together until you form a pastry. Transfer on a paper parchment. 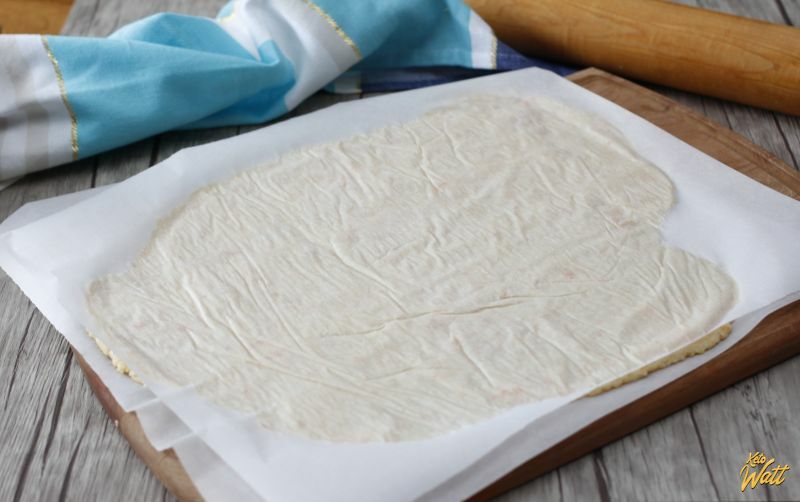 Add another parchment paper on top. With a pastry roll spread the dough so that it’s 1/16 inch thick or thin enough but not too thick to form a cracker. Remove paper from the top. 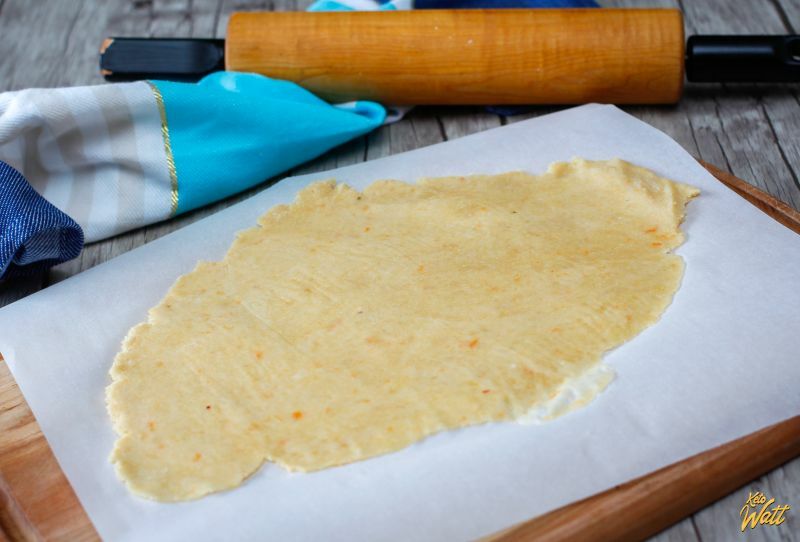 Cut the pastry into scare and put it on a baking sheet. Cook in the oven at 350˚ F for 12 to 14 minutes.